When Kardashian Game was released back in June, it became an instant hit, getting many downloads. The game was at some point ranked number 89 among iPhone downloads. 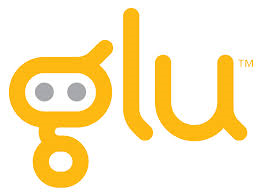 That made Glu Mobile Inc. (NASDAQ:GLUU) quite a darling of investors. However, things went haywire when the game’s popularity started declining, tumbling to as low as number 162. The decline didn’t do any justice to Glu Mobile Inc. (NASDAQ:GLUU) as the publisher dropped 7.2% in the market, the lowest in more than two months. The game was loved by many gamers due to its nature. It offers a virtual tour of Hollywood to gamers, under the guidance of celebrity Kim Kardashian. The game’s Kardashian offers advice to gamers on how to reach Hollywood’s A-list. Many analysts don’t see anything out of the ordinary with the drop in the value of Glu Mobile Inc. (NASDAQ:GLUU) stock. They argue that mobile games come and go, and it only depends on how the company employs creativity to make the game better or comes up with a new game that’s more appealing. Street Sweeper Senior Investigative Reporter Sonya Colberg said that signs were already out that the popularity of the celebrity was declining; something that should have sent signals to investors about the game. She went ahead to say that by the time Glu Mobile Inc. (NASDAQ:GLUU) was releasing the game, the popularity of the star was already on the decline. Many agree that the popularity of the game is pegged on the celebrity’s popularity. Such analysts have thus reiterated that the game’s downloads will continue to decline along with the decline in the fame of the real Kim Kardashian. Consequently, a number of shareholders have gone on a rampage, selling out their shares just in case the slump continues.